Happy weekend, guys!! I don't know about you, but we've been busy! It's high time for some rest and relaxation. 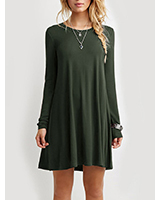 If you're in need of a break, grab a cup of coffee and relax with some online shopping. Whether you need to find a nice gift or want to spruce up your home, you are sure to find something pretty on this week's Friday Finds. Enjoy! 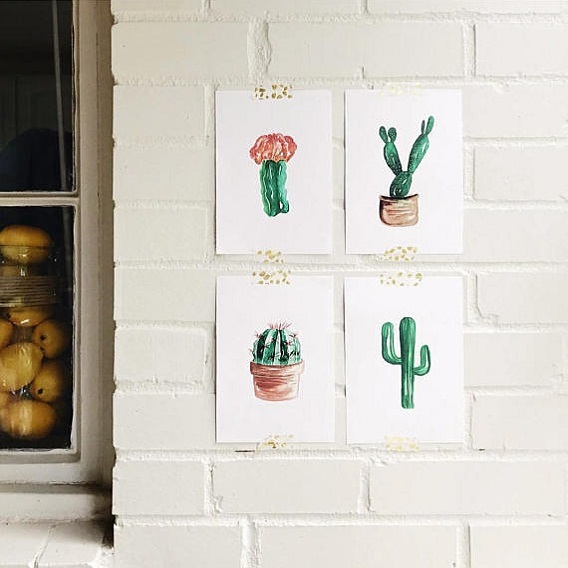 I'm pretty sure what first caught my eye at Katrina Makes were these adorable Watercolor Cactus Prints. Even better is some of them are available for instant download. You can print them off and give your home a boho-chic look this weekend! The flowering cactus prints would be so cute in a chic workspace. 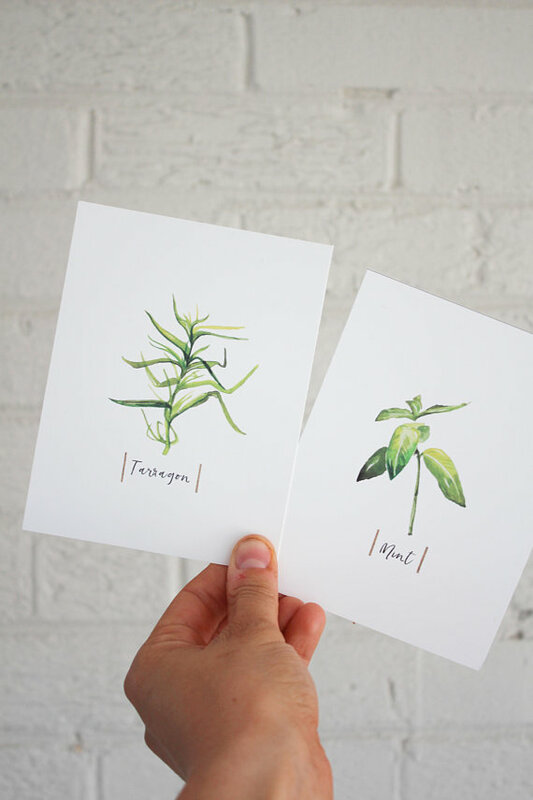 For the kitchen, I'd love these botanical herb prints or one of the herb posters at Katrina Makes. Her watercolor designs are so chic and modern with a bit of a whimsical touch. You can find several other floral and botanical pieces, as well as party decor and custom invitations. If you have a celebration coming up, check out her Summer party ideas and products! Next up, we have a beautiful brand where you can get your home-decor shopping fix. At Blackdog Creations Co. you can shop hand-painted farmhouse style items made by a husband and wife team who have big hearts for our four-legged friends. 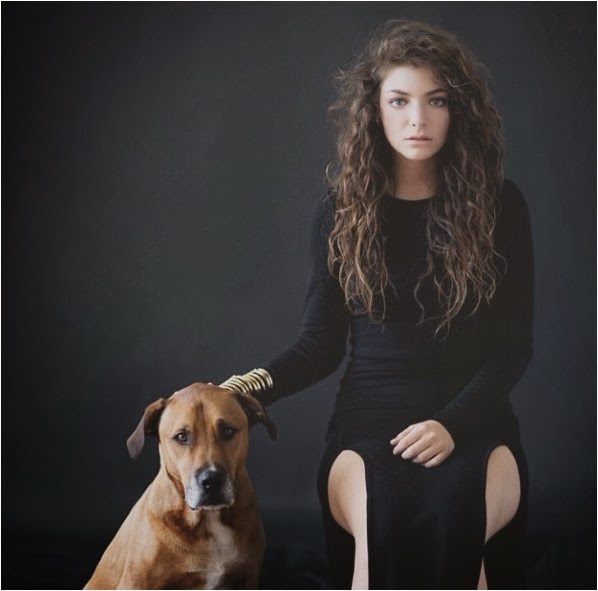 In memory of their black dog, Jazzy, and all fur babies out there, a percentage of proceeds each month is donated to their local animal shelter. I just love it when I can shop somewhere and know that it will do some good in the world, especially for sweet animals! The hand-crafted creations at Blackdog are such a beautiful addition to any home. 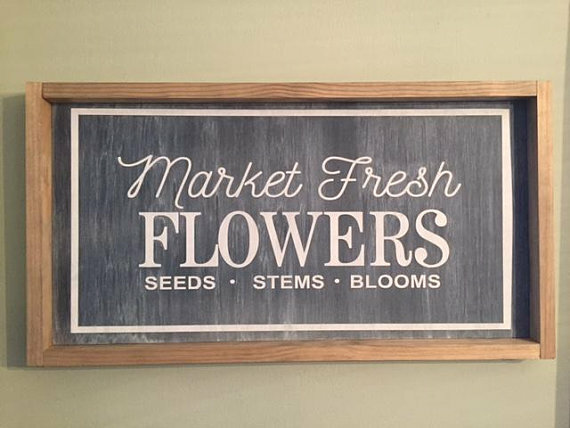 Including hand-lettered signs and rustic accent furniture; like the Market Fresh Flowers sign, the ladder shelf pictured above, and this popular Together is My Favorite Place to Be sign. You'll find the perfect piece if you love the modern farmhouse look. I really love how you can get any sign customized by frame, background, and letter color! Now through the entire month of May, take 15% your order with code: Fridayfinds. To go with the signs and furniture, you can find beautiful handcrafted accessories for the home at Embellish by Sandra. 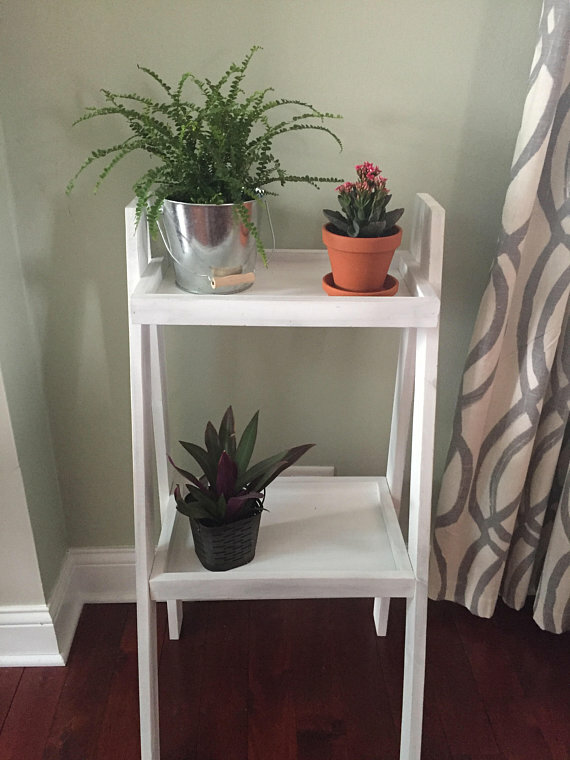 She makes decorative items for the kitchen as well as hanging jewelry organizers and hanging organizers for the entryway or a children's room. 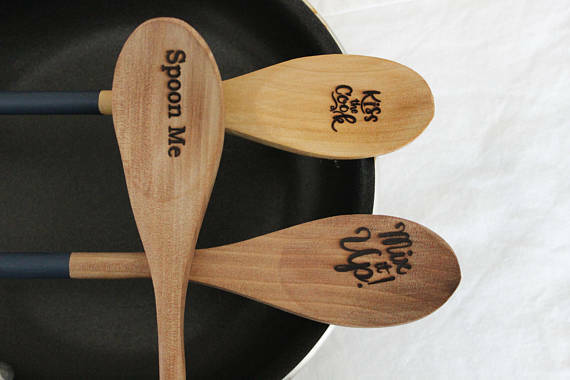 Pieces like these hand-painted wood burned spoons and the wine bottle stoppers are such a cute addition to kitchen decor, and any of them would also make for a great hostess gift or a Mother's Day gift. I'd pair the spoons with a pretty tea towel or the bottle stoppers with a lovely bottle of wine. 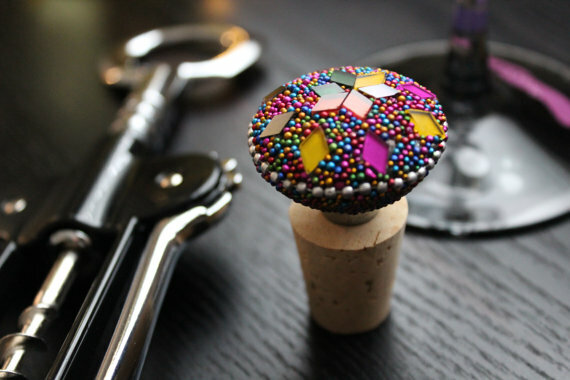 There are so many chic designs in the bottle stoppers, from a Paris themed design to a colorful beaded mosaic stopper and several glamorous stoppers. You're sure to find the perfect one! When it comes to gift items, I'll always obsess over candles here at KCL! The ones that catch my eye have to have two things - pretty packaging and interesting scents. The hand-poured soy candles at Nona's Handcrafted Co. absolutely check both of those boxes! 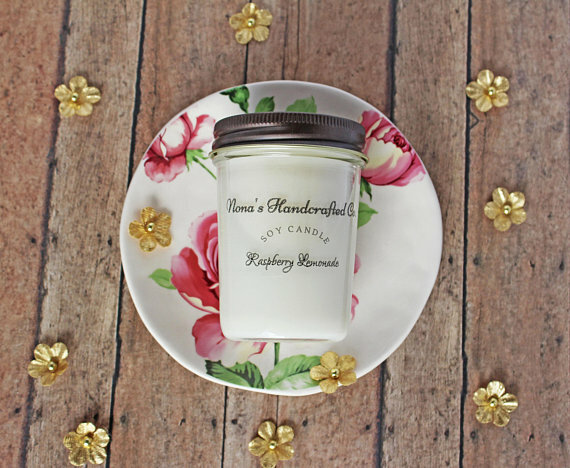 From Kentucky Bourbon and Raspberry Lemonade to this lovely personalized Mother's Day candle, you can get the perfect luxury candle for an impressive gift. Each candle comes in an 8oz. 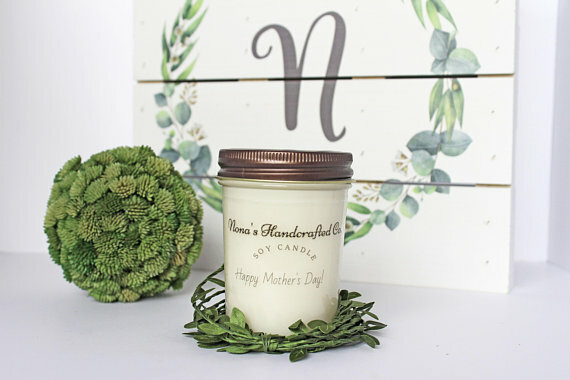 glass jar with lid, and the Mother's Day candle can be customized with any of the scents at Nona's! Now through May 11th, take 10% OFF your order with the coupon code MOM2018. Check out all of the different scents here >. As I've been expanding KCL Beauty both on the blog and Youtube, this week's finds wouldn't be complete without a beauty brand. At Cosmedica Skincare you're sure to find something for mom or something for yourself. Skincare can be confusing, with new brands coming out all the time and new trendy ingredients always coming onto the scene. But there are several tried and true ingredients I always have to have in my skincare routine. I was attracted to Cosmedica Skincare when I saw that they sell each of these things. 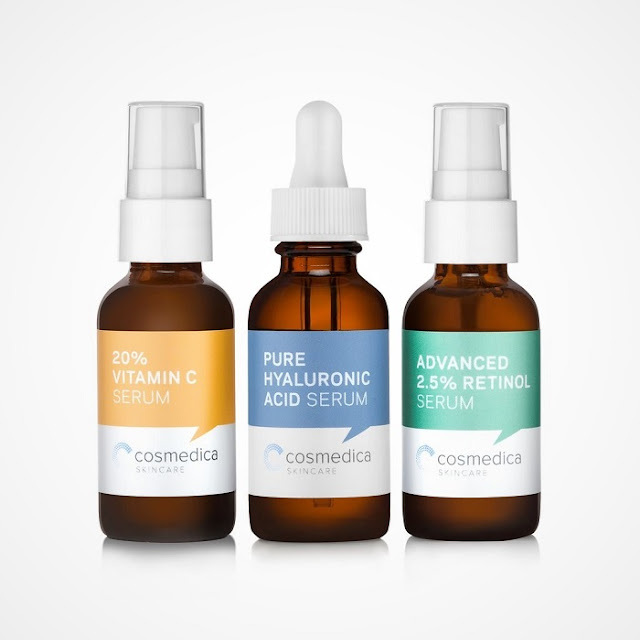 Ingredients like retinol, Vitamin C, and hyaluronic acid for example, are each featured prominently in their facial serums. You can read more on their site about the benefits of these ingredients. 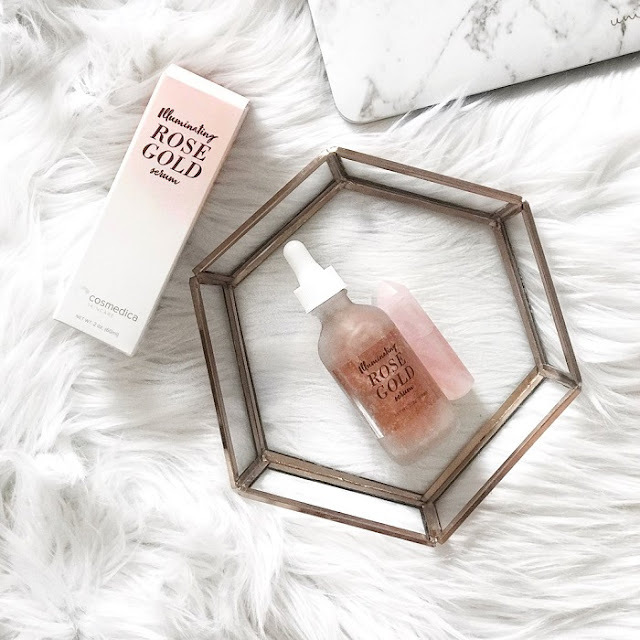 Another item of theirs I'd really love to try is the Illuminating Rose Gold Serum. It looks so luxurious, and the packaging is beautiful. It offers the perfect combination of highlighting along with the plumping and moisturizing benefits of hyaluronic acid. 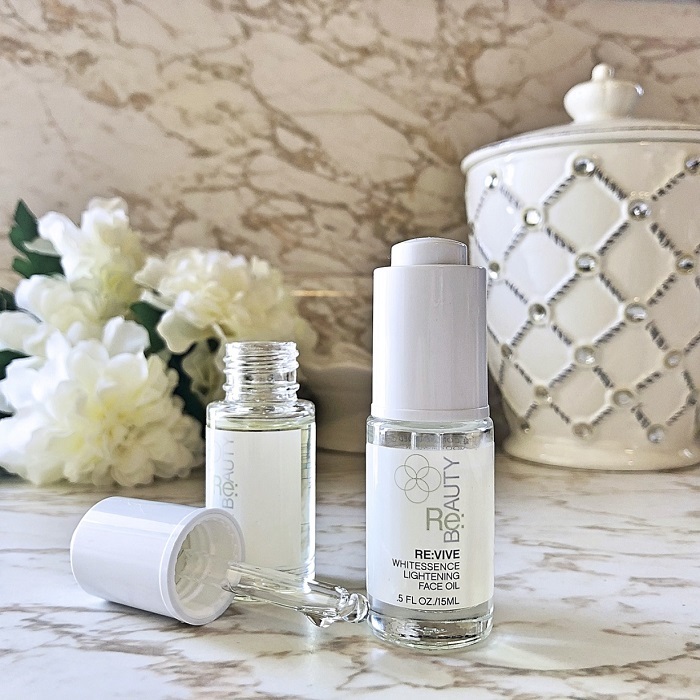 For the high concentration of these effective skincare ingredients paired with the elegant packaging, I think you'll be pleasantly surprised by their prices as well! So there you go, guys! Leave a comment in the link below to let me know which of these shops really caught your attention, and browse through your favorites with the links below. Have an awesome weekend! Thanks for featuring us! I love those watercolor pieces at the top and the skincare. Great ingredients! Thanks so much!! 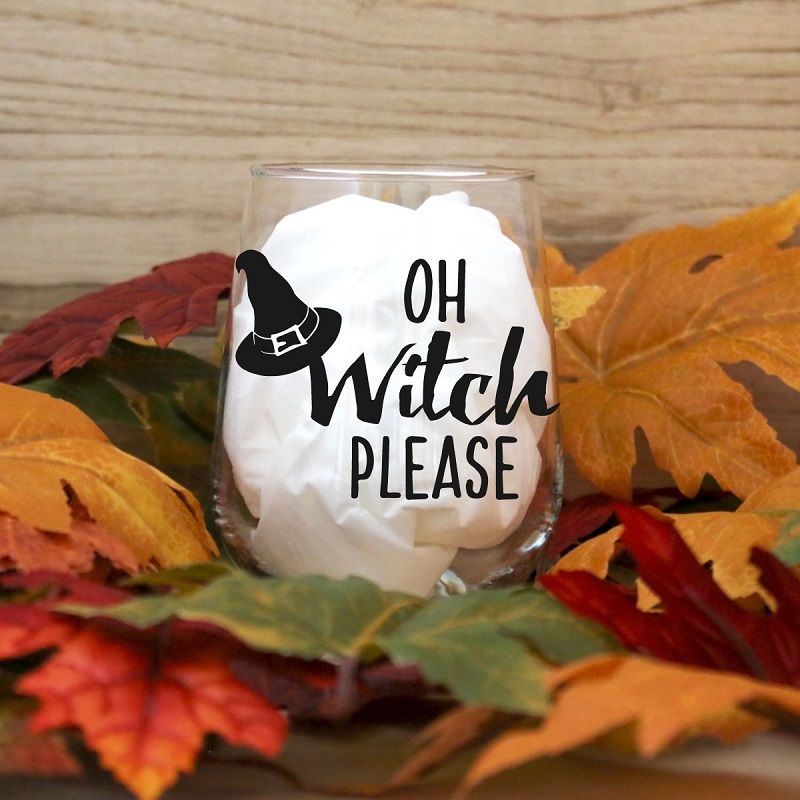 I love the fun candle scents in your shop! I love the cactus watercolor prints and the wood spoons are so cute. My mom would love to receive these for Mother's day! I love those prints. You always find such neat things! This is such a cute post dear. Loving the watercolor prints, so beautiful!